Enjoy the best Thai cuisine and hospitality at award wining Blue Elephant Restaurant that can be found in the lobby of Al Bustan Rotana Hotel in Garhoud, Dubai. This restaurant holds a prestigious status because of its authenticity and superior quality, as it provides the true gastronomic influence and culture of Thailand in this part of the world. 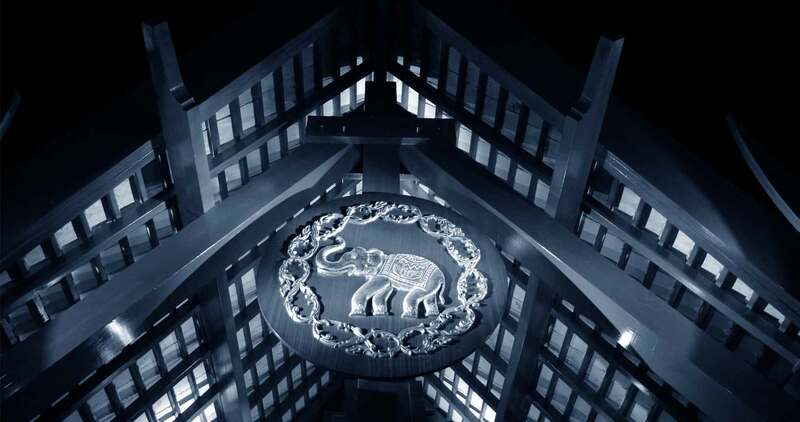 Elegant decor, all you can eat deal, theme nights and short cooking courses are other top features of Blue Elephant Restaurant, which makes it unique from the rest. Moreover, this restaurant is easy to excess as it is located close to the Airport Road and Dubai Creek. Freshly imported ingredients from Thailand, old, new and creative recipes of Blue Elephant Restaurant makes it stand out from the rest of the Thai eateries in Dubai, which truly depicts the culinary culture of Thailand. On top of it, star chef Khun Noroor Somany Steppe presence in their permanent staff members list makes it even more prestigious. Guests are served with authentic Thai dishes at Blue Elephant Restaurant which are artistically created with the help of fresh vegetables, fruits and the best imported ingredients. Visitors can also relish a wide assortment of alcoholic drinks at this venue. Moreover, live music is played that eventually makes the dining experience absolutely wonderful. This bistro also arranges different theme nights where guests enjoy the live cooking of delectable flavors of the fresh Thai ingredients. The restaurant organizes short courses events in which people are taught on how to cook Thai cuisines. People can book a table online as well through which they can avoid all the hustle and bustle. To see the complete menu of Blue Elephant Restaurant, click here! Lunch at Blue Elephant Restaurant is served from 12 noon to 03:30 pm between Monday and Saturday. A La Carte dinner is dished up from 07:00 pm till midnight between on Sunday, Wednesday and Friday. Buffet nights can be enjoyed on Monday, Tuesday, Thursday and Saturday from 6:30 pm till midnight at this restaurant. Al Bustan Rotana, Garhoud - Dubai - United Arab Emirates. Head east after exiting from this metro station, then turn right towards D 70 and afterwards turn left towards D 70. Later make a slight left turn onto D 70, before making a right turn towards D 70, which will bring the patrons to a turn that goes on the right side to D 70 from where destination is not too far and can be spotted on the left after covering some distance. 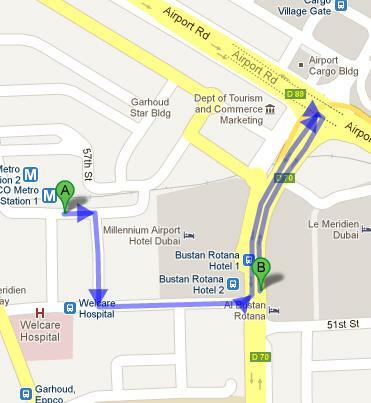 Bustan Rotana Hotel 2 – Dubai bus stop is 11 seconds walk from the Blue Elephant Restaurant, as the gap between these two sites is close to just 14 meters. So after landing at this bus stop from bus number 32C, bus user needs to head south course on D 70 to find the destination. View map for directions.